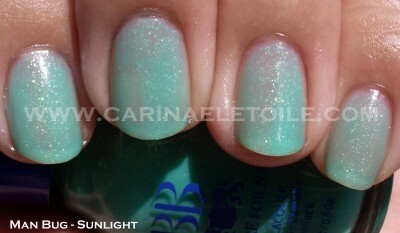 This delicate, lovely glittery color needs a delicate, lovely skin tone to match…and it’s not me. My skin tone needs some harsh colors in order for it to look flattering. Very rarely do I luck out and find pinks/beiges/neutrals that look good on me. Usually it’s blue, green, black…you get my drift. What was a lovely color in the bottle was transformed into…something so hideous on me I had a hard time believing it was actually the same color! That’s my problem – I fall in love with these colors in the bottle and I throw caution into the wind thinking, “Maybe just this once, this color will look so good on me…” *sigh* Such is not the case. 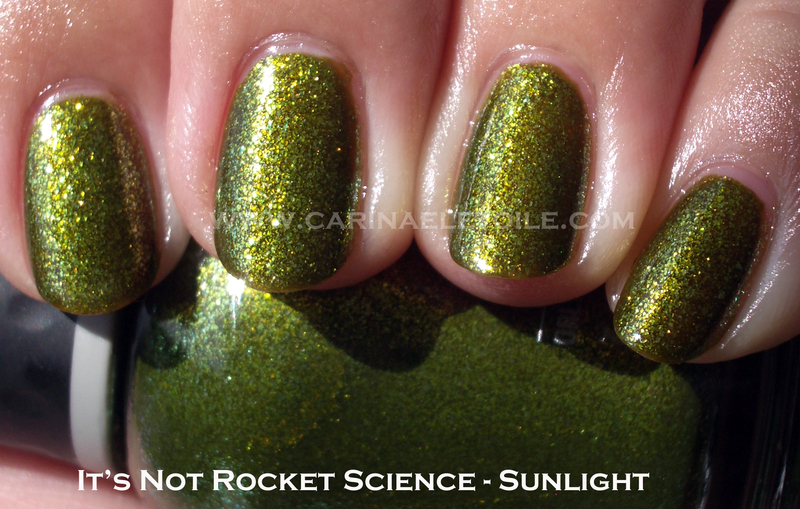 Formula was flawless – 2 coats and in under 10 minutes this was dry and no bubbles. How can you go wrong with that? You can have my skin tone. That’s how. Anyway, enough of my angry bitterness about my skin tone and on to the pretty nail polish! 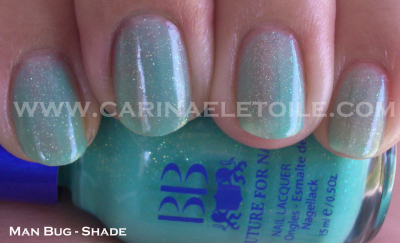 I love this color…just as much as I love OPI’s What’s With The Cattitude? 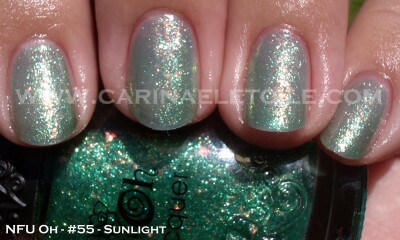 This is a little lighter than OPI, but it’s still a great color. 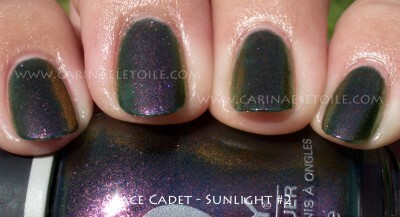 I played around with it, trying to do a gradient manicure (epic fail, btw…and I am debating on posting the pics). What I loved about this is that it dried fast and was a flattering color on me. Pretty green polish with lovely green and gold shimmer…see below! I finally raided my stash of NFU Ohs and decided to swatch some more. 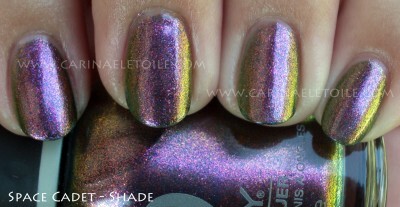 I have yet to swatch the holos…been very unmotivated. Even with the new arrivals of nail polish, I feel a bit…meh about doing it. I get a bit tired of running it through Photoshop and maybe I shouldn’t watermark it, but something tells me to keep doing it whether I like it or not. 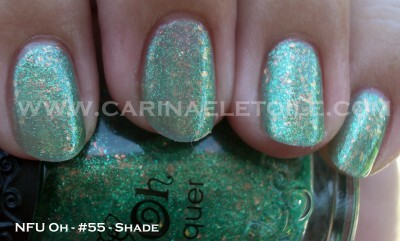 Ok, so for some reason, this color reminded me of the green elixir from Wicked. Yes, my dorkdom knows absolutely NO bounds. But for you Wicked fans (or stans) out there, I don’t think it’s much of a stretch, is it? This color practically glowed in the shade. It was a bit mystical but oh so lovely. The sun couldn’t even dim the glow. I am the first to admit that it takes a lot to wow me…especially in the nail polish department. I rarely swoon. It’s just how I am. It’s not that I’m jaded, it’s just that I’m truly fortunate to be able to have a great collection. Plus, I’m a huge fan of cremes. 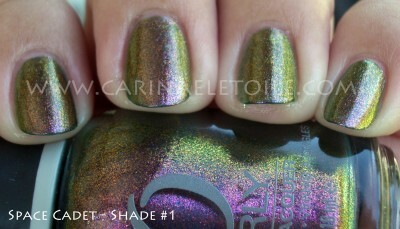 If I ever turn my head on glitters or shimmers, it really has to be a stand out. 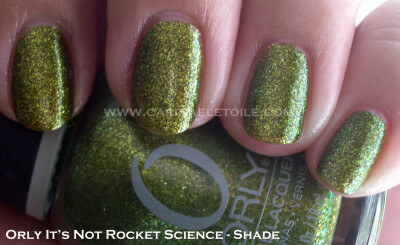 Fall 2010 is that collection for Orly…well, this one is – Space Cadet. Where can I even begin? I was rendered speechless on the first coat. Then on the second? I just could not stop staring. The color change, the glitter, the glitz oh my! The formula was really one that I think a lot of polishes should strive for if they’re going to do something like this – fast drying and easy to work with. 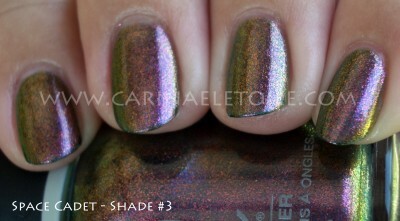 I did 3 coats because I was really curious to see how it would look past 2 and it really was just flat out gorgeous. I didn’t need a third coat. It was like gilding the lily. Ok, I’ll stop raving and just show you the mother lode of pictures I took. 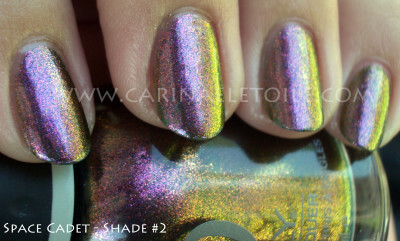 Small note – I honestly thought that this was close to a Nubar shade called Wildlife…Wildlife is this awesome duochrome color that is gorgeous in and of itself and I felt that Space Cadet is the pumped up rocker chick sister version of it. 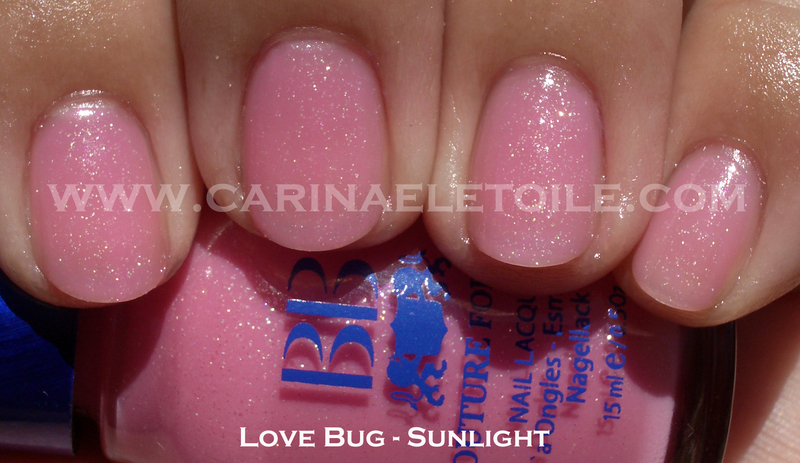 What wasn’t conveyed in the sunlight shot was this freaking AWESOME play of black and pink/purple glitter. It was really hard to capture. 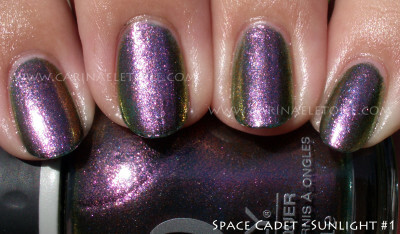 Nubar’s Wildlife is below – the shade shots of Space Cadet above is what made me think of this color. Though only a handful of colors have been swatched and only had a flash photo, this is the collection still makes my heart sing a little…and makes me weep because it’s been discontinued. Although OPI pisses me off with their jacked up brushes and somewhat unstable formula, there is no denying that they did a world of wonder with these colors. You can still find some of these colors, but not all, should you decide to go on a hunt for them. I will re-swatch these (along with the French Collection) with proper lighting. For now, settle for the indoor and flash only. 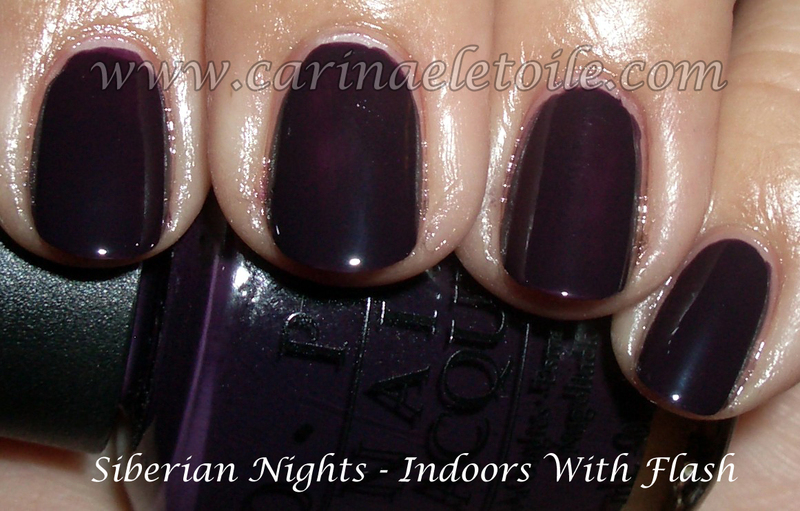 I rocked Russian Navy for so long that I have 3 – yes THREE – bottles of them.